Sgt. 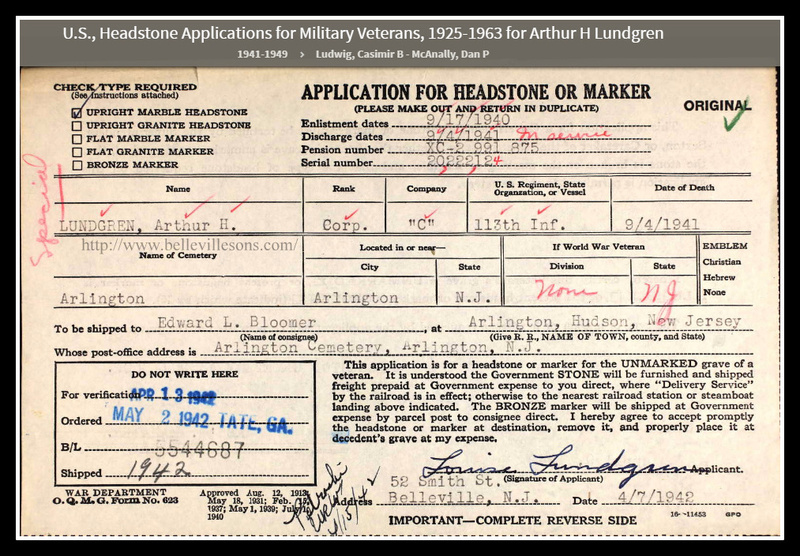 Arthur H. Lundgren, 21, of 50 Smith Street, Belleville, N.J., died at Fort Dix, September 4, 1941. Lundgren enlisted in the U.S. Army on Sept. 17, 1940. He served in Company C of the 113th Infantry. Kiernan Funeral Home, Belleville, conducted services. Lundgren is interred at Rosedale Lawn, Arlington Cemetery, Kearny, N.J.